Classical and timeless keyring design. The precisely fashioned metal ball, made of stainless steel, is the intelligent solution behind the Orbit's patented locking mechanism. 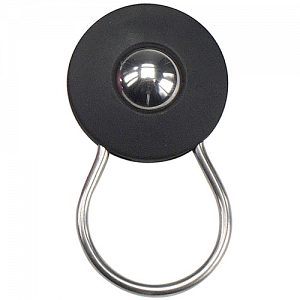 To add or remove individual keys, simply press the ball out of the metal ring and remove the metal frame with ease. Available in different colors. The Orbit has won several Design awards for shape and function: Design Plus, redDot.